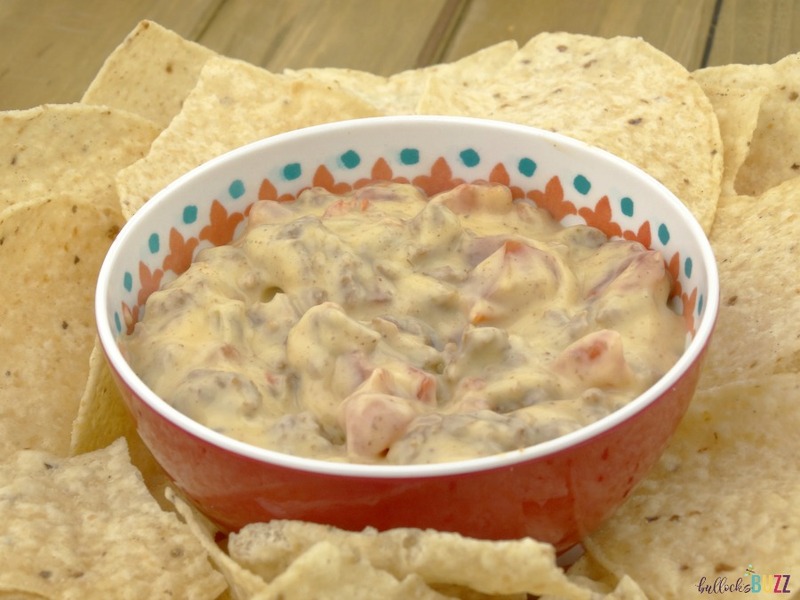 Browned ground beef flavored with taco seasoning is mixed with Rico’s Original Nacho Cheese Sauce and tomatoes with green chiles to make an irresistible Nacho Dip perfect for parties or a quick afternoon snack. 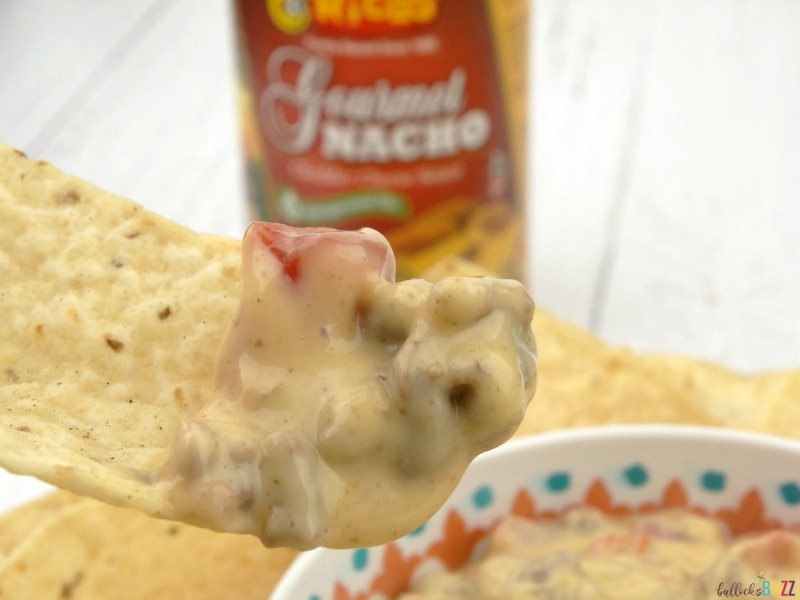 If you like chips, cheese and salsa, then you are going to love this quick and easy Nacho Dip! 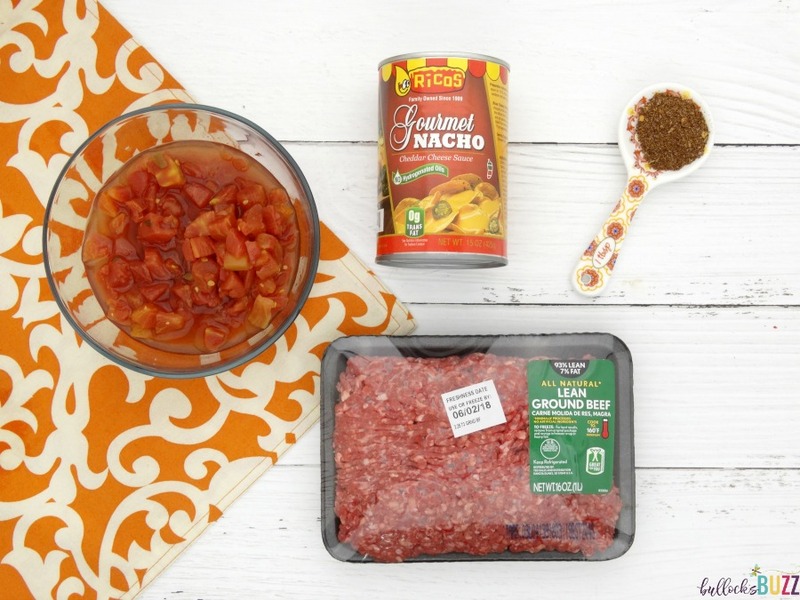 Made with Ricos Gourmet Nacho Cheddar Cheese Sauce, seasoned ground beef and tomatoes with green chilies, it’s quick, easy, and oh so good! Whether you’re hosting a football party, a night in with friends, or just looking for a quick and easy snack…this 4 ingredient beef Nacho Dip will satisfy all your nacho cravings! Best if all, it takes just a few minutes to prepare and it’s a guaranteed crowd-pleaser! Begin by browning the ground beef in a large skillet. Drain, then return the beef to the pan over medium-low heat. Next, add in the Ricos Gourmet Nacho Cheddar Cheese Sauce and the drained Rotel® chilies and tomatoes. Mix well. Now add the taco seasoning, stirring to combine. Allow the nacho cheese dip to warm all the way through, then serve with your favorite chips. Enjoy! This nacho dip with beef also tastes amazing when you pour it over chips! Top it off with some sour cream, jalapenos and your other favorite toppings and you’ve got a complete meal in just minutes. Never tried Ricos products? You can find them at your local Walmart.  They have lots of great flavors and products. For more information about Ricos cheese sauces, as well as more delicious recipes, visit the Ricos website! Don’t forget the handy-dandy printable version of this recipe below! 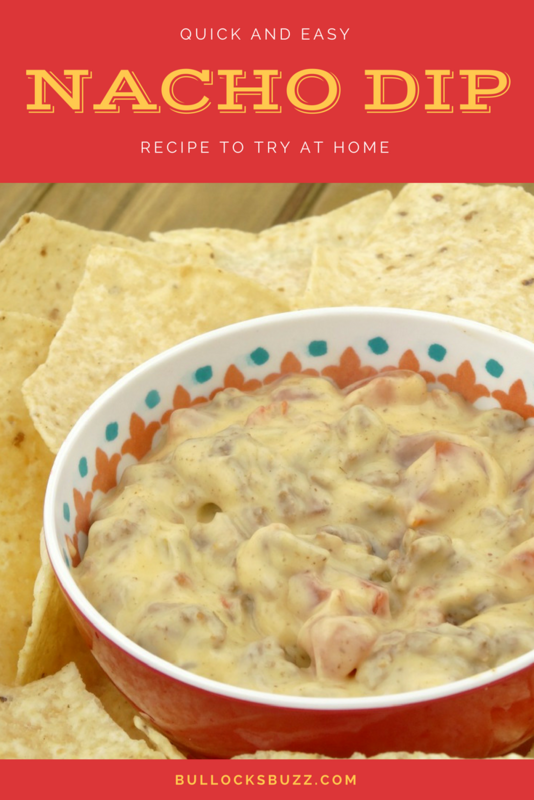 Browned ground beef flavored with taco seasoning is mixed with Rico's Original Nacho Cheese Sauce and tomatoes with green chiles to make an irresistible Nacho Dip perfect for parties or a quick afternoon snack. Brown the ground beef in a large skillet of medium high heat. Drain, then return to the pan. Reduce heat to medium low, add in the Rico's Nacho Cheese Sauce and the drained Rotel. Stir to combine. Mix in the taco seasoning, then continue to stir until heated through. Serve as a dip with chips. This also tastes great poured over chips then topped with sour cream and jalapenos!